First there's this...if ya want to try winning a Canon 5D Mark III from BorrowLenses dot com on their facebook, click here (http://bit.ly/PRZUHi). In the hopefully near future, I'll be posting photos from self-assignments. They will be things that would be good practice for me, such as spending a day shooting only with a 50mm lens, self portrait, etc. It would be cool if people would also do the assignments and post links to pics in my comments (or if you'd rather, you can email me the links). Also you can post ideas for assignments for 'us' to do (I assume you would be doing your assignment also, not just making ME do it. lol). Let me know what you think of this idea. My first self assignment will most likely be the 50mm one mentioned above, but I'm not sure when I'll start this thing. I hope it will be a weekly thing as this blog was intended to be in the first place. Don't forget to follow the link to win a Canon 5D III. 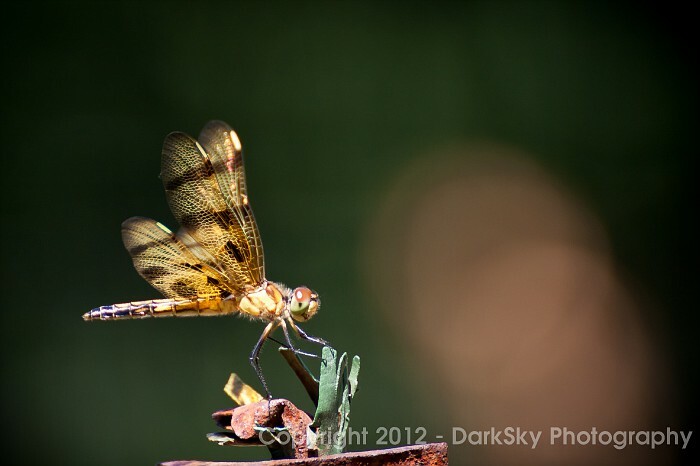 One of many dragonfly photos, of which I'll soon be making an album.